Life is too short for boring software! Every time you use a web or native application to solve a problem, to increase your knowledge, or simply to fill some leisure time, you should find yourself engaged and enriched, and you should enjoy the process from start to finish. At Parhedros we blur the lines between work and play for users of task-oriented software. We also develop so-called serious games and simulations, designed to playfully help people learn new skills and increase in self-awareness and knowledge. 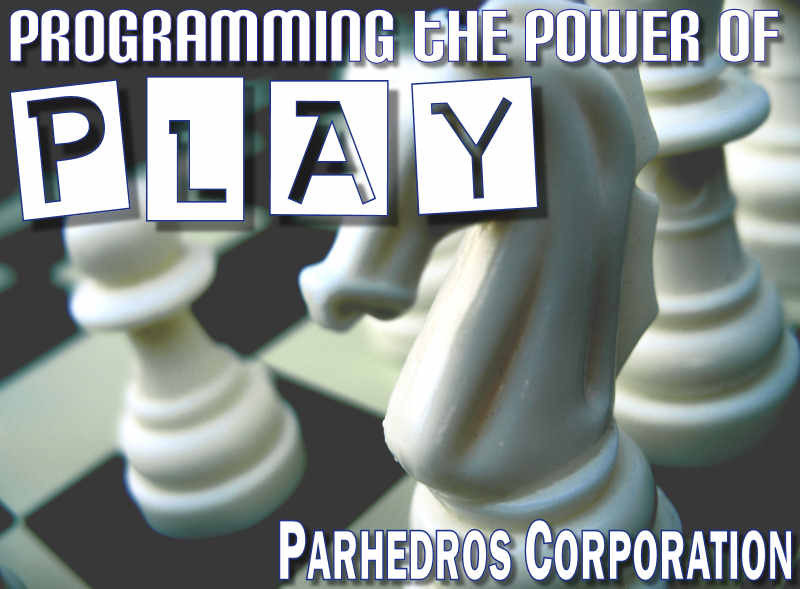 At Parhedros, we believe that the future of work revolves around unleashing the power of play. Children and adults alike learn best through play, and thus our most productive tools will always resemble, in some manner, our favorite toys. We design our software applications to make mundane but necessary tasks feel more like a game than a chore in order to encourage engagement and deliver a more personalized experience. To achieve this goal, we utilize game-play mechanics such as narrative, increasing challenges with opportunities for mastery, meaningful choices, and interim rewards provide to incentives for the user to deeply engage with the software's features. Tools and toys - what is the difference? The designers of video games understand that a rewarding gameplay experience involves putting the player on center stage as the protagonist, empowered to make meaningful choices that determine the outcome of the narrative. This represents little more than an interface 'magic-trick' that deepens user engagement, and yet it is the reason that people spend over 3 billion hours per week playing video games. At Parhedros we employ similar egosystemic design principles to further deepen user engagement in our task-oriented applications. Because we as individuals can best see our own souls reflected of the eyes of our friends, family and lovers, we seek to create personality-augmented interfaces which create a purposefully idiosyncratic user-experience that emphasizes the individual aspects of software usage through contextual commentary, story-telling and feedback. All software is capable of demonstrating 'intelligence', but our best software will also reveal its 'soul' to the user.